Some months ago I’ve published a blog post dedicated to Jeff Cardoni’s Silicon Valley. It was a rather unusual entry to my ever-growing portfolio, because there simply has never been any soundtrack release to use my custom cover with. It was all hypothetical and people kept asking me, why I’ve spent my precious time on a project that obviously served no purpose. Well, guess what… I did it again! 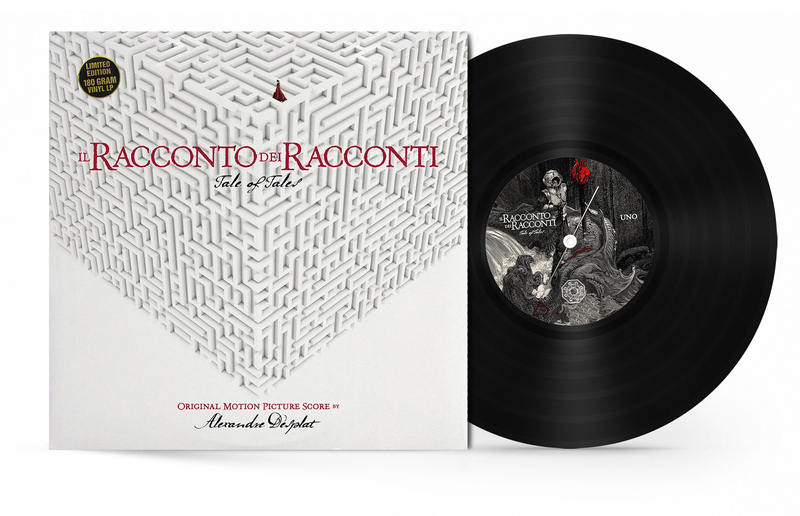 The music to Alexandre Desplat’s Il Racconto dei Racconti (Tale of Tales) has never been released commercially. Not even as a bootleg. There’s a badly edited suite available online to give you an idea of what you’re missing out, but that’s basically it. Unfortunately so, because the music is quite good to be honest. And considering what else is blessed with a proper release these days, it’s even more surprising that this lush fantasy score from an Academy Awards winning composer never saw the light of day. But be it as it may, I nevertheless cobbled up two custom covers for it. Because at the end of the day this WordPress blog is still sitting in the arts category and I consider it as my duty to provide you with beautiful art, regardless whether there’s any use for it or not.